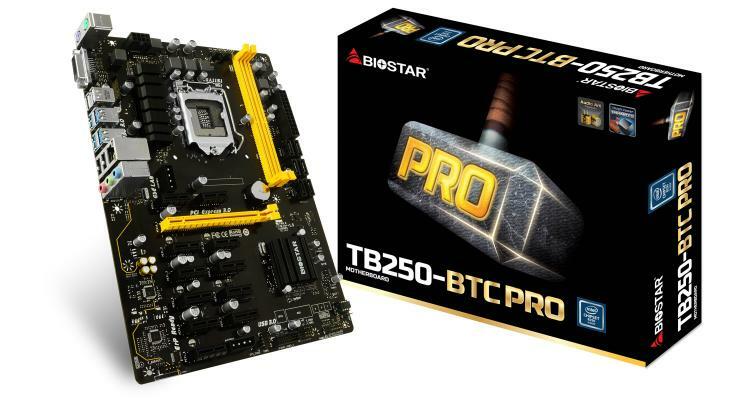 With Cryptocurrency mining currently in a boom, BIOSTAR further expands its mining-oriented offerings with the introduction of the BIOSTAR TB250-BTC PRO motherboard. Along with the BIOSTAR H81A and TB85 Series of mining motherboards, BIOSTAR aims to lead in providing cost-effective solution for miners. 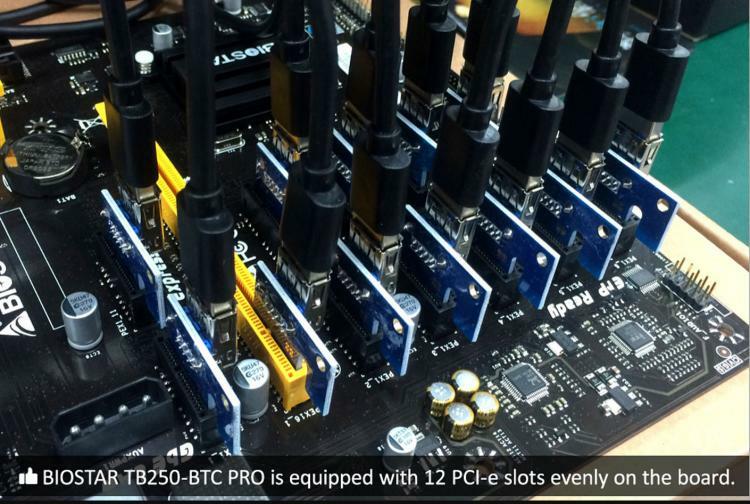 The brand is proud to introduce the TB250-BTC PRO as the world’s first 12-GPU cryptocurrency mining motherboard. 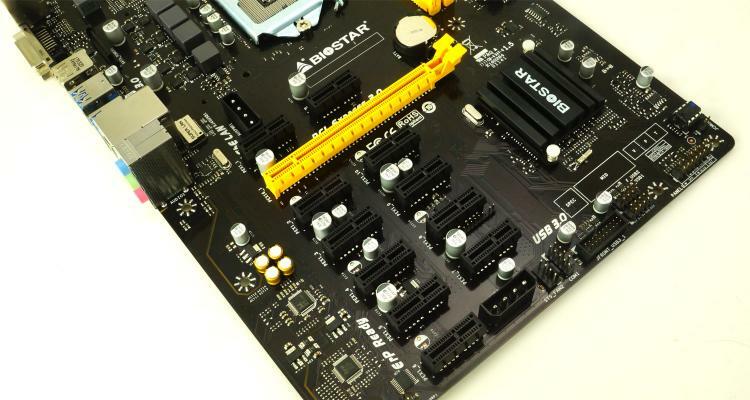 The BIOSTAR TB250-BTC PRO is currently the only motherboard that packs 12 native PCI-E slots with support for both AMD and NVIDIA GPUs for mining. With 200% more PCIe slots compared to average motherboards, miners can also gain a 200% increase in ROI and also save in building a mining rig where you can put what’s supposed to be in two sets into one. BIOSTAR recognizes the challenges of mining that demands a higher level of durability and stability to withstand 24/7 operation with high GPU workloads. 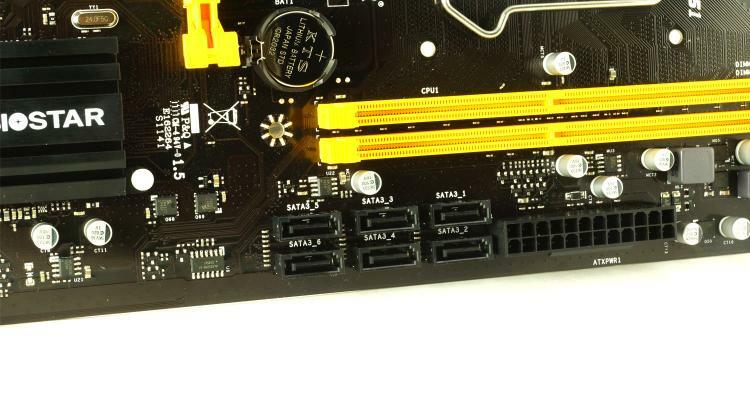 The BIOSTAR TB250-BTC PRO uses a matrix arrangement for the PCI-E slots allowing optimal and ample spacing without interference with each other. The motherboard also uses all-solid capacitors and a rigid power management module, ensuring stable power delivery and operation even with 12 cards running simultaneously. 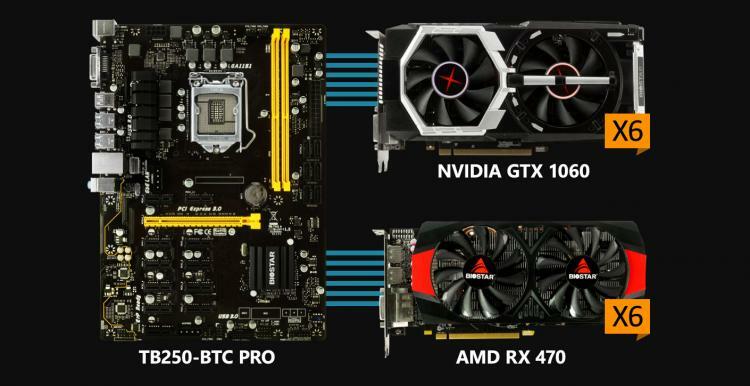 The BIOSTAR TB250-BTC PRO can support multiple AMD and NVIDIA graphics cards simultaneously giving miners flexibility when it comes to their mining setup. Populate all 12 PCIe slots with a combination of AMD and NVIDIA graphics with ease. 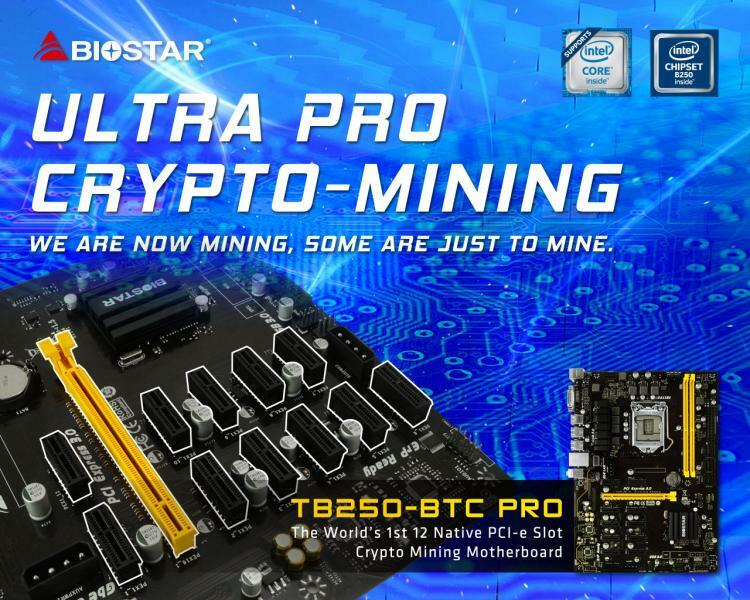 See more information about the BIOSTAR TB250-BTC PRO Mining motherboard at the BIOSTAR website.